In Arizona and other States, rivers can be quite dangerous places even for strong young men who believe that they can easily deal with the strong currents, frigid temperatures, and other hazards. Tragically, a dead body was found which will most likely be identified as one of three who jumped into the Colorado River on a hiking trip. The two teens and man were not wearing life vests or jackets. Until family members are contacted and the body is positively identified, the name of the victim will not be released by a newspaper. Search efforts continue for the other two people who were swept away by the strong river current. 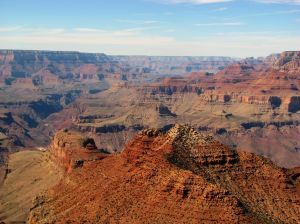 Grand Canyon Officials identified the three victims as Saif Savaya (age 15), Mark Merrill (age 16) and Joe Merrill (age 22). I have visited Colorado within the past year and went white water rafting. I was told that the river had some strong areas but paled in comparison with other rivers. Nevertheless, I wore a life vest / life jacket and did not challenge the water by jumping into the cold waters. Did others from the group jump into the Colorado River? What warnings (if any) were the three people given as to the dangers of the river? Did the three people ignore warning sizes or instructions not to go into the river? Who was the guide or supervisor of the tour group? What were the swimming skills of the three people? Were there other areas of the river available or near by that would have been safer to go into? It is tragic for a teenager or young man to lose his life at such a young age. You can read more about this story at One of Three Swept Away in Grand Canyon Found Dead.